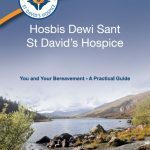 St David’s Hospice can offer bereavement support in a variety of ways, it is important that people are able to get the support they need at a time and in a way that feels right for them. Bereavement can be a difficult and lonely journey. Sometimes it can be hard to talk to family or friends as often people grieve in different ways. There can also be a fear of upsetting other members of the family. Talking and sharing feelings with someone who is experienced in listening, or with other bereaved people who have similar experiences can be helpful. 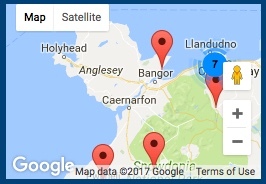 St David’s Hospice can offer bereavement support in a variety of ways, it is important that people are able to get the support they need at a time and in a way that feels right for them. Grief is a normal reaction to any major loss in our lives. When someone dies there will be many practical things that need to be attended to. This can mean that you start to grieve once these things are completed and the people around you begin to return to their everyday lives. It can be hard for us to accept the death of a loved one, and we may feel overwhelmed and confused by our emotions. Part of the grieving process is trying to make sense of something that seems senseless. We all grieve in our own way, and it may take many forms. For instance, grief may catch us by surprise and we might suddenly be overwhelmed by emotion. We may also feel anger or regret for things that we could have done differently. There may be feelings of depression, a decreased appetite, tiredness without being able to sleep, and an inability to concentrate. Small tasks or problems may seem insurmountable and cause us to feel panicky. We may also think that we hear or see a loved one, even though we know that they have died. We may feel numb and unable to cry, or experience a sense of relief. These are all normal reactions to the loss of a loved one. If you have been caring for the person who has died, you may also feel the loss of your caring role. You may feel bereft and alone because the relationships that you have built up with different health care professionals have ended. You may have lost contact with friends while caring for your loved one, and meeting new people or re-establishing old friendships can seem daunting and tiring. Remember that there is no right or wrong way to grieve. Everyone is different. Try not to feel pressurised by the expectations of others. Do what feels right and comfortable for you. Allow yourself to laugh, cry, or feel angry – someone you love has died and that is painful. You may also feel numb and unable to cry. Take care of yourself and pay attention to your health. Try to accept help from others. This can be comforting for you and for them. Talking about the person who has died, and about your experiences, can help you to begin to make sense of what is happening to you. You may find that people are awkward around you. They may want to give support but are afraid of saying the wrong thing. If you feel able, let them know how best they can help you. Do not be afraid to seek help either from our bereavement service, or from your GP, or other health care professionals. With time you will find that memories become less painful, and that you will be able to remember without feeling distressed. People who are closest to you may be able to help the most – friends and relatives can share memories with you, which can be comforting. Sometimes, too, it can be difficult to share with family or friends. 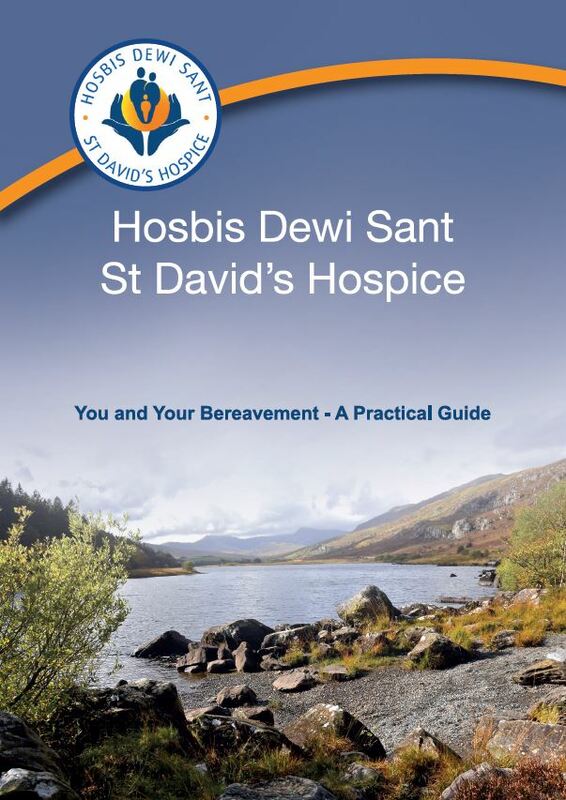 St David’s Hospice has a bereavement service for next of kin. You will be contacted at about six weeks after the event to offer our services. If you would like to know more about any of our bereavement services at St David’s Hospice please call 01492 879058. Gives advice and guidance to families on arranging the final affairs, the funeral and honouring the memories of loved ones. Includes Jewish, Muslim and Buddhist funerals. Offers support to widows and widowers up to the age of 50. They provide social and support networks to help rebuild lives. For children and young people’s bereavement support services in your area. Bereaved parents offering friendship and understanding to other bereaved parents. Good mental health for children, helping your child to cope with bereavement. For brothers and sisters of disabled children and adults, with any disability, long term illness, or life limiting condition. Winston’s Wish helps bereaved children and young people rebuild their lives after a family death. They also offer support and guidance to families, professionals and to anyone concerned about a grieving child. Please click on the image opposite to download our guide that can help you in the early days of bereavement.